Joe Lamb Jr. & Associates has provided quality vacation rental accommodations to Outer Banks visitors since 1968. 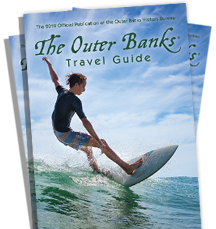 Our family owned and operated company offers a wide selection of Outer Banks vacation rentals in the North Carolina beach communities and towns of Duck, Southern Shores, Kitty Hawk, Kill Devil Hills, Nags Head and South Nags Head. We invite you to view our brilliant photos, detailed amenity lists and price quoting feature all online. Make the selection that best suits your needs and see why our guests consider us a part of their family!